Do your carpets have spots and stains? Is your upholstery smelly with pet odors? You are not alone. Left unchecked; stains, dirt and odors will continue to move farther and farther into your carpet and upholstery fibers. 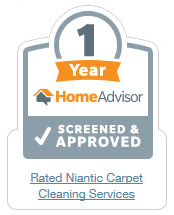 Regular vacuuming in conjunction with walk off mats will help prevent further degradation but only professional steam carpet and upholstery cleaning will remove deep down bacteria, germs and contaminants, creating a safer and healthier environment while dramatically improving the appearance of your carpet. 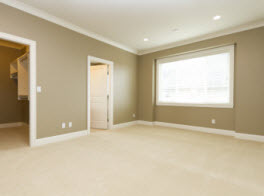 Our up to date cleaning techniques are fast drying and our cleaning technicians are trained in proper stain treatment. When disaster strikes, you need the services of a professional damage restoration company like AB Enterprises. 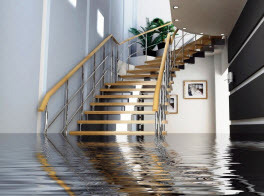 Whether you are dealing with a flood or fire damage, we provide emergency service because time is of the essence. AB Enterprises will come on site to your home and business and conduct efficient water extraction service and drying of your floors using top of the line, well maintained equipment and high powered industrial fan dryers. We also offer mold remediation services to protect your family from the harmful effects of mold spores. We provide full-service tile and grout cleaning for your home or office. We offer a tailored, personalized approach consisting of professional deep cleaning, steam cleaning, hand and/or machine scrubbing and polishing processes, to lift dirt and restore the shine on your tile. Our grout cleaning is outstanding – we restore grout to the fresh clean look it had when it was new. If you are considering “spring cleaning” for your home or a deep cleaning for your kitchen and bathroom floors, give us a call to discuss your tile cleaning needs. Professional cleaning can bring even patio tiled floors back to life at affordable prices and much cheaper than floor replacement. Don’t make a decision to replace any floors until you have investigated the options offered by AB Enterprises. 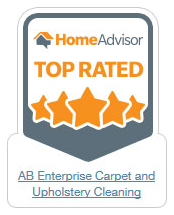 AB Enterprises Carpet and Upholstery Cleaning offers total natural stone and tile floor care. From natural stone floor cleaning, to tile and grout cleaning – no job is too large or too small for us. Cleaning natural stone can pose unique challenges as cleaning agents should not be too harsh, as else they risk altering the color or appearance of the stone and grout and ruin the color scheme. Our stone and tile cleaning experts can be trusted to know the best techniques for cleaning, polishing and restoring your floors to a like-new shine without harming the stone surface itself. Our stone and tile cleaning services are designed to renew and freshen your floors, extend their lifetime while saving you money on replacement flooring. Your flooring is a major business investment that is meant to last for many years. For good or bad, the condition of your floors is a direct reflection of your company, so it is very important to make sure that you take good care of your floors with regular professional cleaning treatments. AB Enterprises offers a professional Vinyl Composition Tile (VCT) floor cleaning service complete with deep cleaning and wet look shine floor coating and polishing. We will help your business look bright and project a positive image to your customers who may even believe that your business is brand new or recently remodeled. We provide full floor VCT refinishing services including deep vinyl tile floor cleaning, stripping, waxing, buffing and sealing. AB Enterprises offers total floor care including hardwood floor cleaning and wood floor polishing. Your hard wood floors deserve the attention of a professional cleaning company. Our professional technicians have the knowledge to maintain the elegance and glow that makes wood a beautiful and desirable flooring choice. Protect your investment by using the first rate, top notch services of AB Enterprises. There is never a charge for an estimate so do not hesitate to call us. 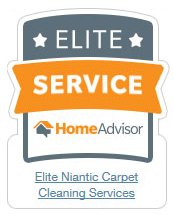 We look forward to taking care of your floor care needs and are just a quick phone call away! At AB Enterprises, our goal is to help you maintain your high quality leather furniture. 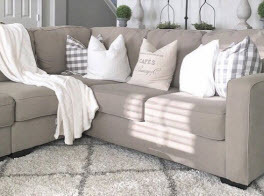 There are many different types of leather being sold today and we understand and know how to recognize the correct method to clean, condition and protect your leather furniture. Leather furniture manufactures recommend proper professional cleaning to prolong the life of your leather. We welcome the opportunity to help you maintain the original look and feel of your fine quality leather. Regular recurring cleaning services for your office building involves more than just a little vacuuming and dusting. Most office cleaning companies and contractors can empty trash cans and dust furniture fairly well but a professional janitorial cleaning service requires much more than that. AB Enterprises offers what you need most – consistency and communication. We pride ourselves on identifying our customer’s needs and concerns and then making them our highest priority. Unfortunately with many of our competitors, this is simply not the case. At AB Enterprises, our first priority is the client and providing a responsive environment. 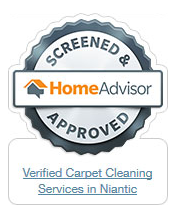 Cleaning is secondary only to listening and resolving our client’s concerns. 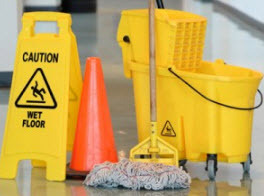 Our commercial janitorial clients include offices, medical and educational facilities, warehouses, retail stores, places of worship, apartment complexes, homes and other businesses.